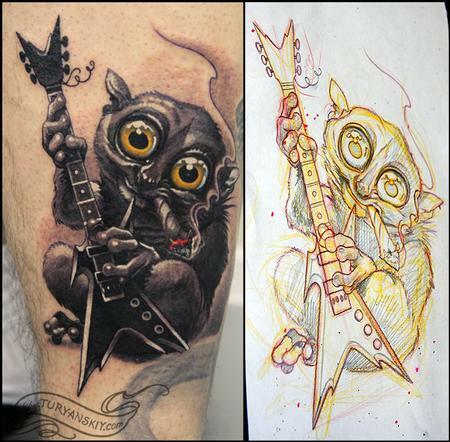 Tarsius on high as a guitar player represents the 2nd member of animal music band leg half sleeve. Completed in about 5 hours. 2012.